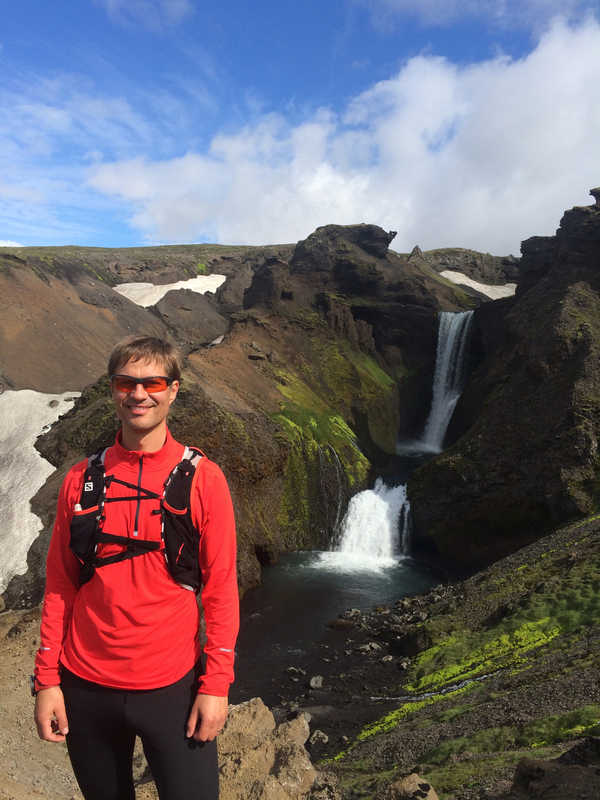 Two lovers getting a rest from running, standing in front of a lava field and a steam. 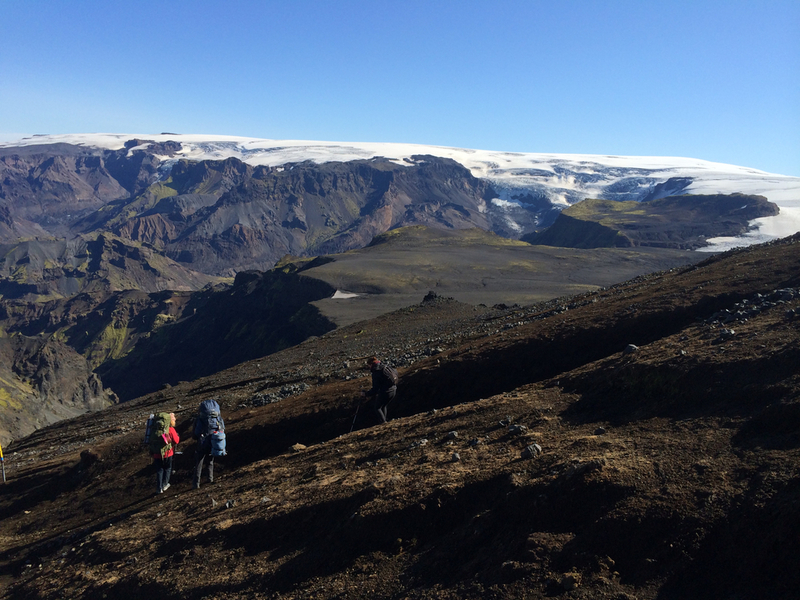 The Laugavegur route is one of the most popular hiking routes in Iceland. 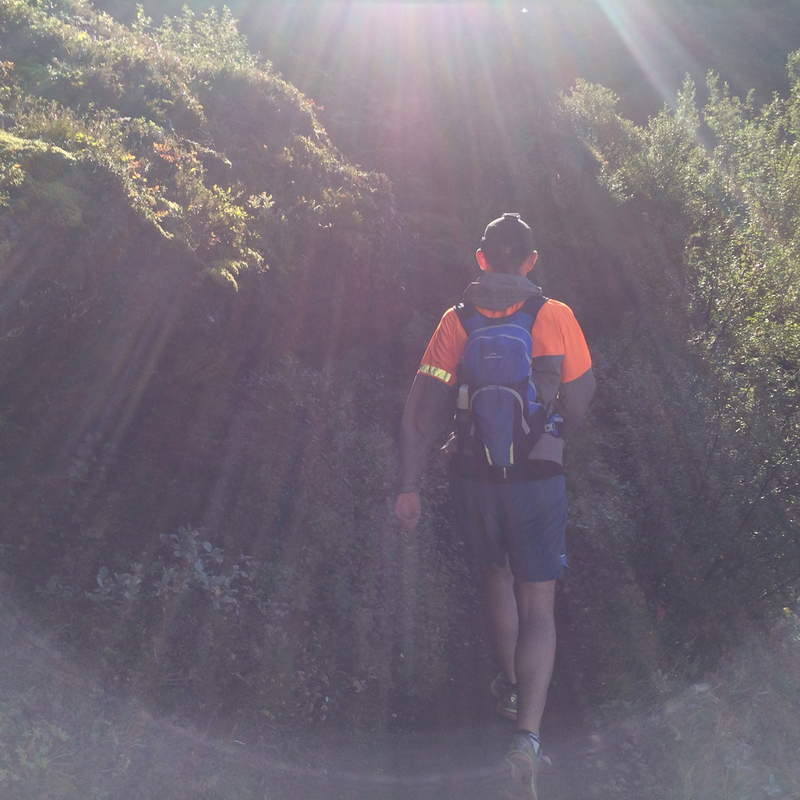 We suggest that you cover this beautiful route in two days but doing it in a one day is the ultimate challange for the more experienced runners. 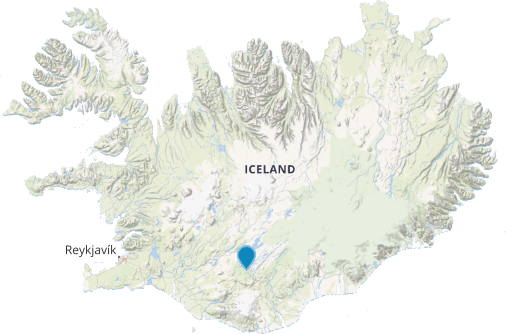 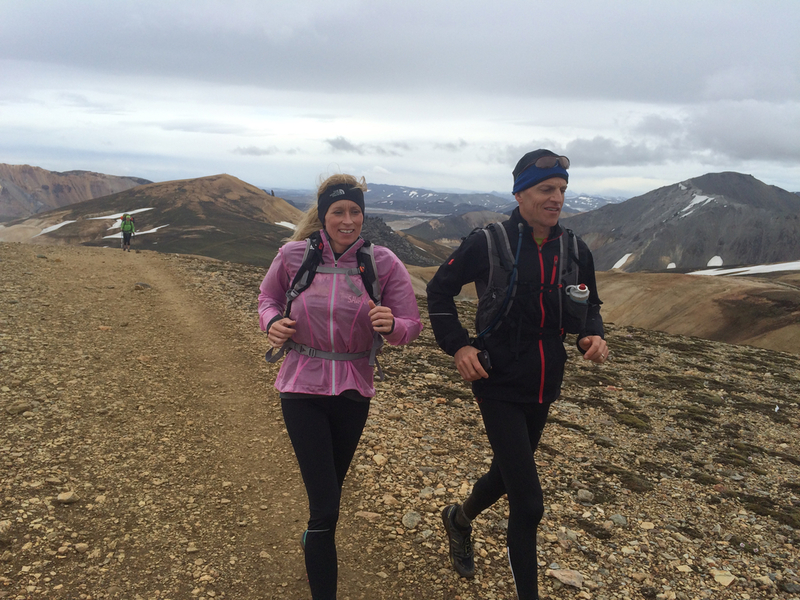 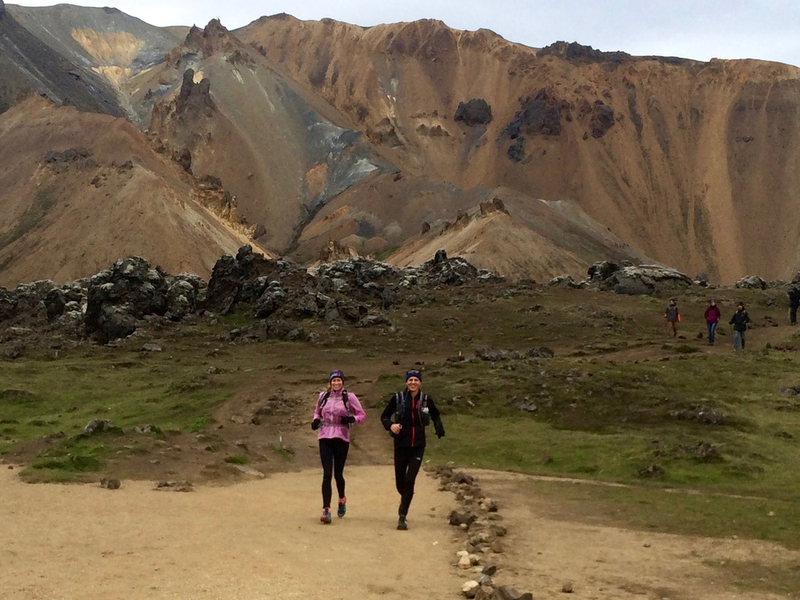 The run starts in Landmannalaugar, surrounded by colourful geothermal mountains and hot springs and ends in the magical green area of Thorsmork. 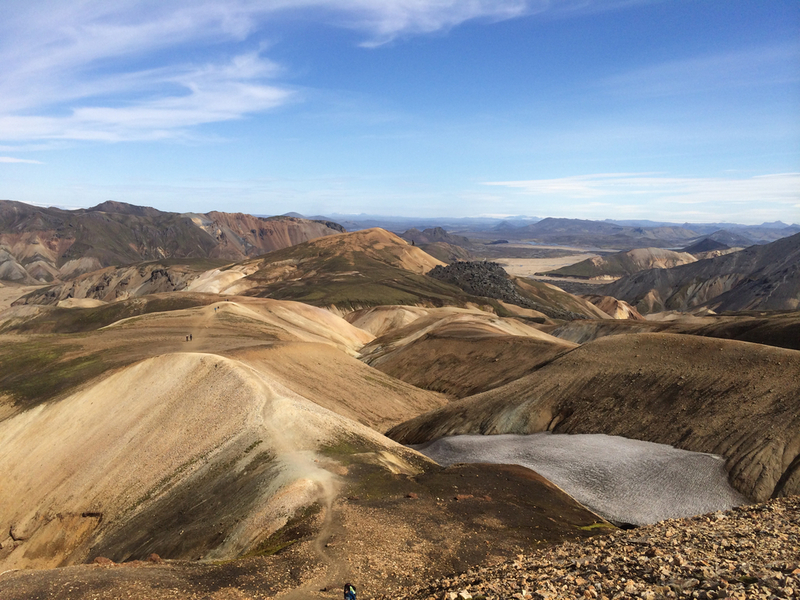 The tour starts in Landmannalaugar.